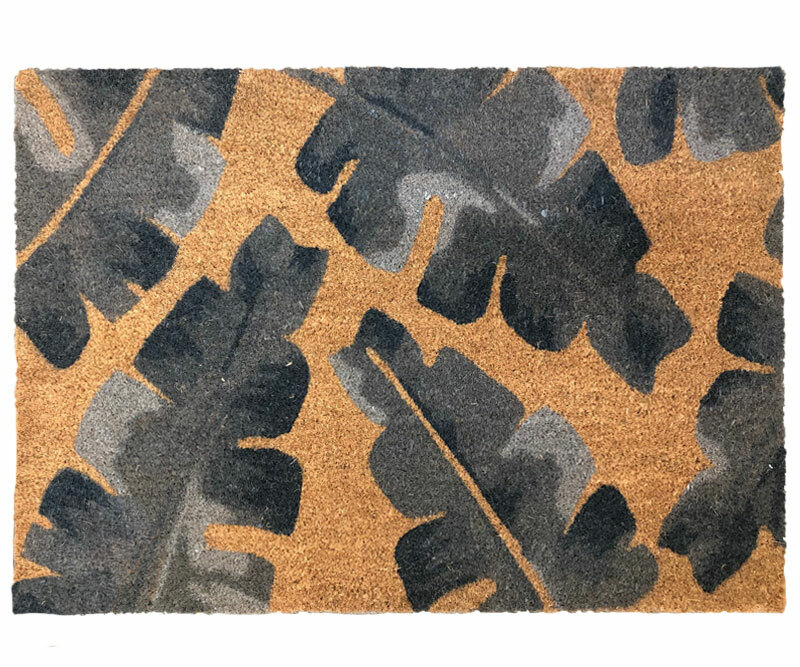 This large doormat features a beautiful design of banana leaf sillhouettes in shades of grey and black on a natural coir background. Measuring 90cm long by 60cm wide by 1.5cm deep, this vinyl backed coir door mat is perfect for your entryway. Made from natural coco fibres, coir doormats have excellent scraping properties. Tough, durable and well-made, these doormats will add the perfect decor touch to your entrance while also being superbly practical. *To ensure best performance and longlasting beauty of your door mat, please make sure that it does not get excessively wet nor stay wet for long and be aware that cats and birds scratching the door mat will damage it and lead to excessive shedding.